Plunderblade is a Palico Gadget in Monster Hunter World (MHW). do we get less materials in the victory screen if we use this? Does it really add extra loot or just steals what we could have get anyway after defeating the monster? 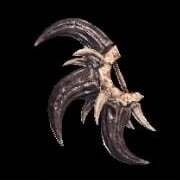 Be advised that as this ranks up, it can make monsters drop slinger ammo, such as the bomb pod and thorn pod. The palico should always say in chat when the monster drops slinger ammo on the right of your screen. I got a wyvern gem w this. Thing. I think a plunder blade, not Palarang, is more or less a carve. Now if only there were a list of plunderable materials on the pages of each monster. I know for a fact you can&apos;t steal every material a monster drops by plunderblade alone.